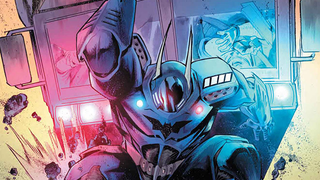 DC may be in the middle of its big crossover event Convergence right now, but in a few months everything will change as the company reshuffles its publishing line. Want a sneak peek? DC have released 10 standalone free comics teasing the new Batman, a new outfit for Starfire, and much more. These 8-page teasers set up plotlines that will be continued in June’s publishing shake-up. Although there’s nothing about Superman’s future or Wonder Woman’s snazzy new look, Batman, Green Lantern and Green Arrow all get the spotlight, as well as series like Doomed, the only new series in the line-up not based on a legacy character, and Prez, set 21 years in the future where a teenage girl is elected President of the US. Sounds weird? 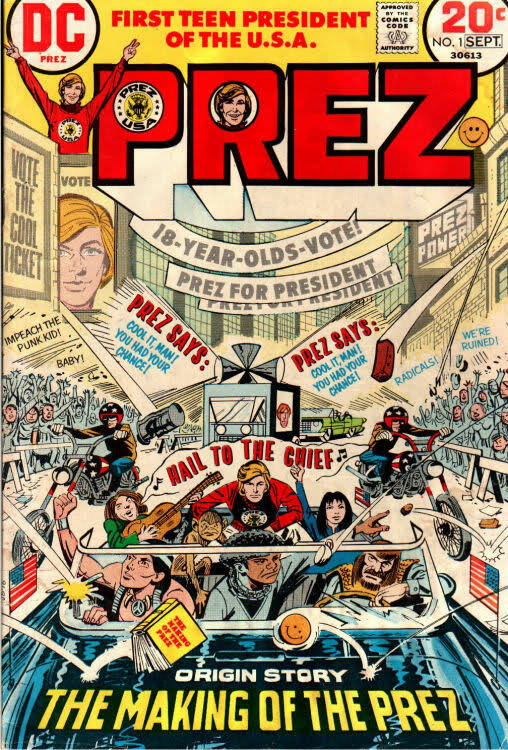 It’s actually not the first time DC’s done this: Prez is a reboot of a short-lived 1973 comic where Prez Rickards became the first teenage POTUS. Comic books, you guys! They’re great. Still rather revealing, but much better than her original New 52 look.